Broderick Thomas was a high-octane outside linebacker and one of the most colorful personalities in Nebraska football history. He said he got his nickname "The Sandman" in high school in Houston because he "put people to sleep" when he tackled them. Among his boasts at NU: When Oklahoma dares set foot in Memorial Stadium, "they will be coming into our house." The "Sandman" stuff worked out. Thomas was a dominant defensive player in his three years as a Husker starter, being named first-team All-Big Eight each season. He had impressive career totals of 242 tackles (39 for losses of 216 yards) and 22.5 sacks. He helped NU to a Big Eight championship as a senior. "Our house?" 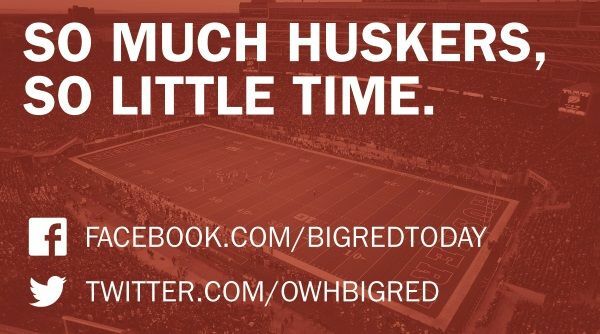 The Huskers lost to Oklahoma in Lincoln in 1986 and 1987 (yes, back-to-back home games). They did win in Norman in 1988. But for the most part, Thomas’ actions on the field spoke volumes. As a sophomore in 1986, the 6-foot-4, 250-pounder was the third-leading tackler on a Husker team that ranked second nationally in total defense, giving up 235.6 yards per game. He recovered six opponents’ fumbles, including three at Colorado. A first-team Walter Camp Foundation All-American in 1987, Thomas recorded 73 total tackles, including a team-leading 41 unassisted stops. That set the stage for his huge senior campaign. Thomas was a consensus All-American in 1988. He had 98 total tackles, leading the Huskers for a second straight year in unassisted stops with 53. He had 17 tackles for loss of 111 yards. He led the team with 10 sacks. His 35 quarterback hurries were 25 more than any teammate. In the season finale against Oklahoma, Thomas and the Blackshirts held the powerful wishbone offense to 98 yards rushing, 137 total yards and eight first downs as the Huskers claimed an outright Big Eight title and an Orange Bowl berth. Thomas was Tampa Bay’s first-round choice in the 1989 NFL draft. He compiled 47.5 sacks in nine pro seasons. He played five years for the Buccaneers, and had his best season in 1991 with 11 sacks. He also played one year each for Detroit and Minnesota, and finished his career with two seasons in Dallas. ?